The economy of streaming media is booming, but those of us who make and create the music—featured and nonfeatured alike, instrumentalists, singers, composers, copyists, and arrangers—are not receiving our fair share of the pie. 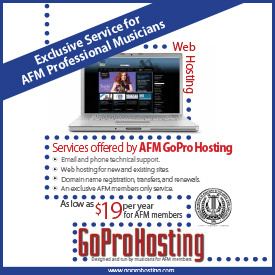 After suffering decades of budget reductions from funding cuts imposed by regressive record industry proposals that were first agreed to by the Federation in 1983, new money from online interactive digital distribution and licensing of sound recordings, bargained from the industry by the Federation in 2017, have breathed new life into MPTF. Live Concert Venues and Media Rights: Are Musicians Sold Short? When we consider fair wages and working conditions for musicians working roadshows, the Federation’s Pamphlet B and Short Engagement Tour Agreements (SET) are the gold standard. Below are excerpts from a keynote speech given by SoundExchange President and CEO Mike Huppe at the AFM-FIM International Streaming Conference held in Burbank, California, October 2-3. Following is the text of a speech Ray Hair gave October 12, in Chicago’s Daley Plaza in support of striking Lyric Opera Orchestra musicians. 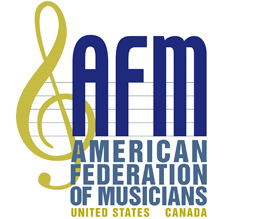 At the AFM-FIM conference on October 2 and 3 in Burbank, CA, AFM and FIM members will discuss fair pay for musicians in television and streaming. TMA is the newest AFM player conference. It began its journey 25 years ago, and is now comprised of chapters organized among locals that negotiate local agreements with theatrical venues and presenters that book Pamphlet B tours. The #RespectTheBand campaign resonated—prompting coverage from Variety and Deadline Hollywood. Never before had concerted activity toward the networks and their source-program producers occurred on such an aggressive scale. The Federation’s negotiations with its bargaining partners, whether on an industry-wide, single-, or multi-employer basis, are a never-ending process.